Bug loves being outdoors. 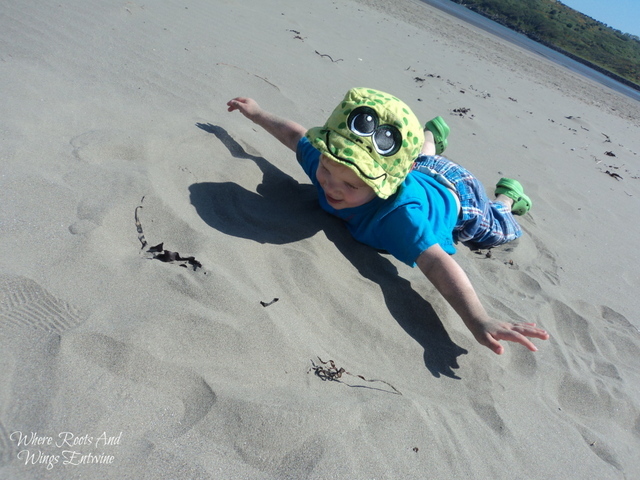 He is in his element playing in the great outdoors. 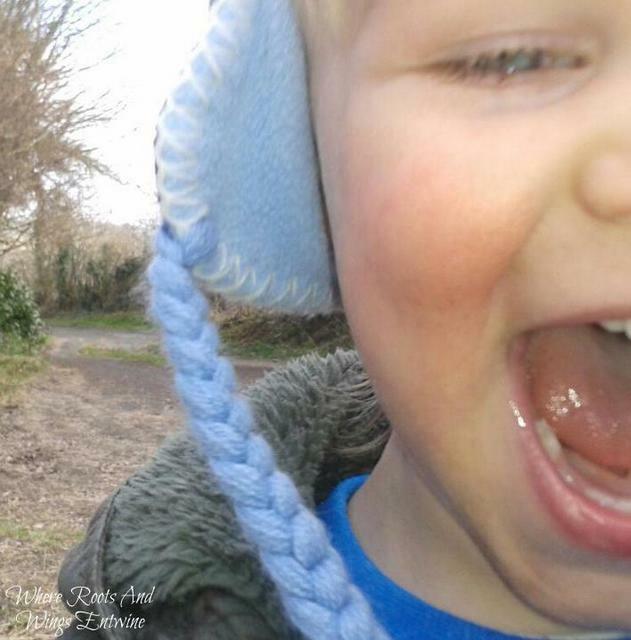 He loves going on country walks. 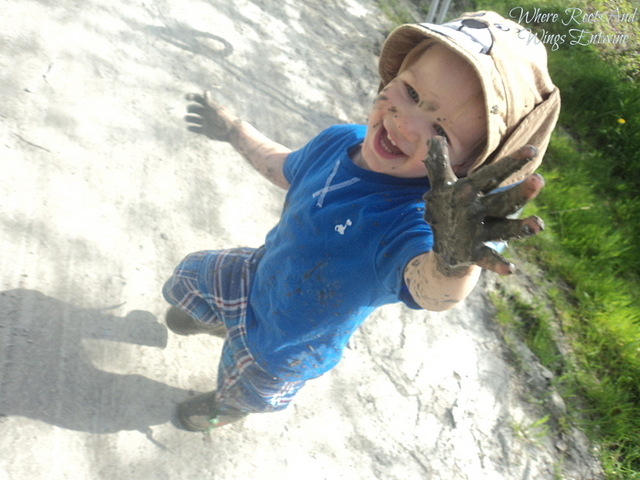 He adores playing in the mud and making a muddy mess. 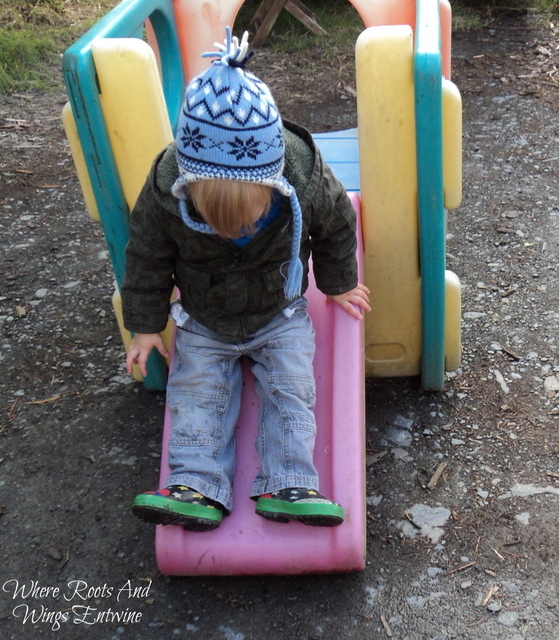 He has lots of fun playing with his slide and climbing frame. 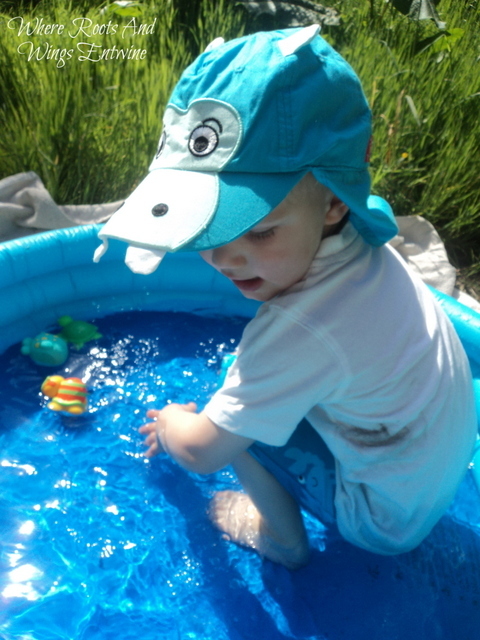 He loves splishing and splashing when the sun shines in his paddling pool. 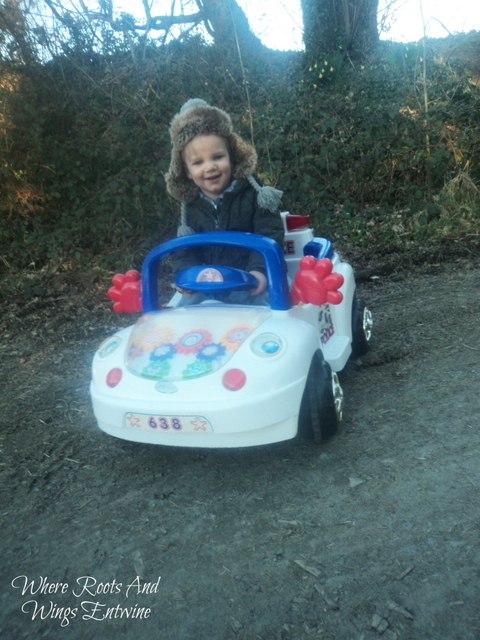 He gets a thrill from racing around in his cars and on his ride on. 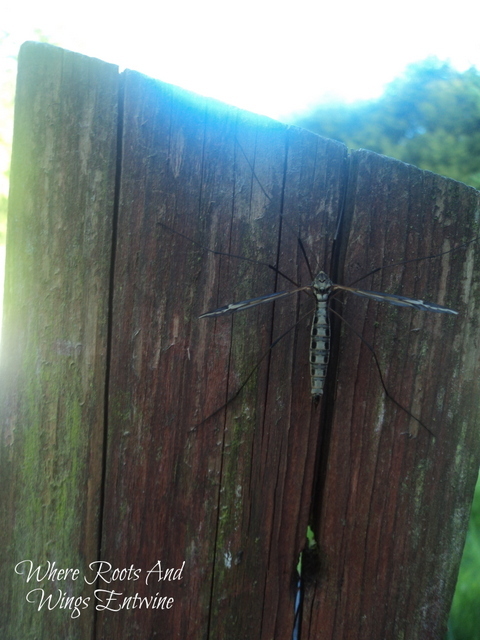 He enjoys searching the garden and the countryside for creepy crawlies, bugs and winged friends. 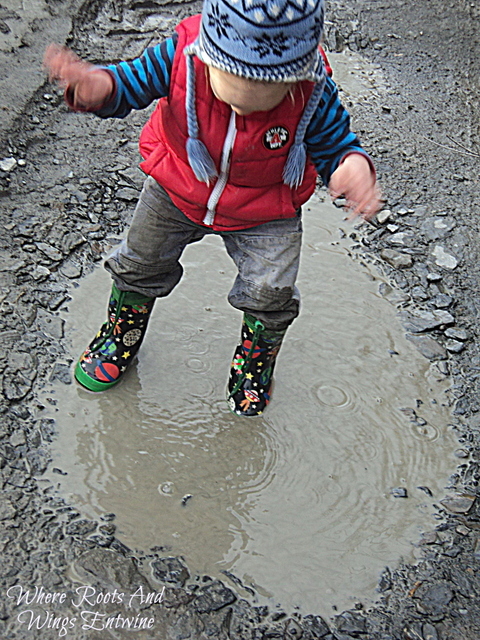 He loves puddle jumping and splashing in muddy puddles. 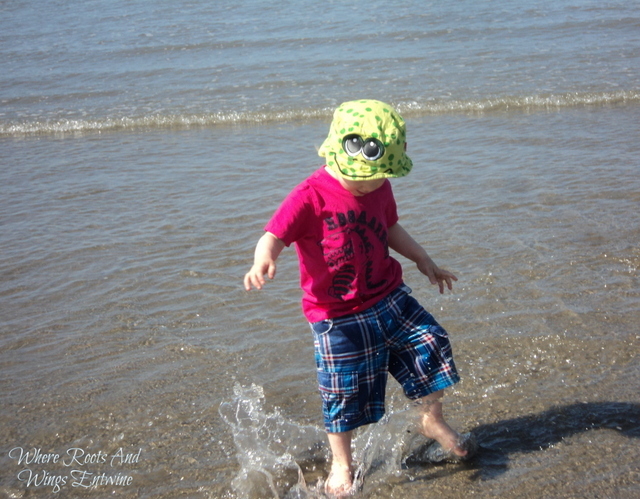 He loves adventures at the seaside, splashing in the sea. 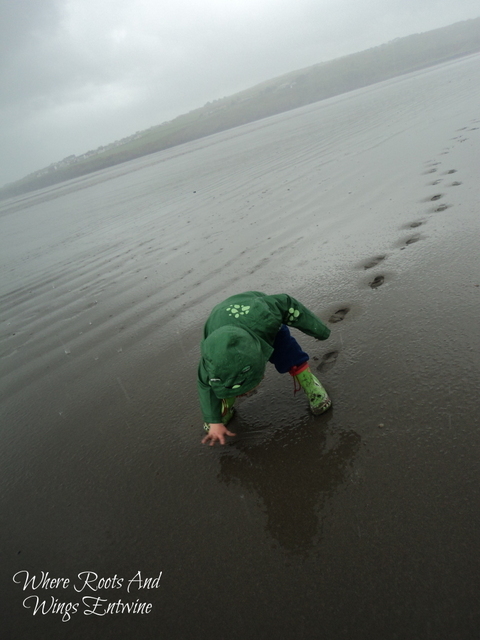 He loves the beach come rain…..
As well as loving the sand and seaside come sunshine. He simply loves being outdoors. Even though he has helped mummy garden; digging and weeding our wild garden as well as help plant some more Aquilegia Vulgaris plants and a black mondo grass plant I have not made a conscious attempt at gardening with Bug and not captured our gardening fun on camera as we have ended up mucky messes. 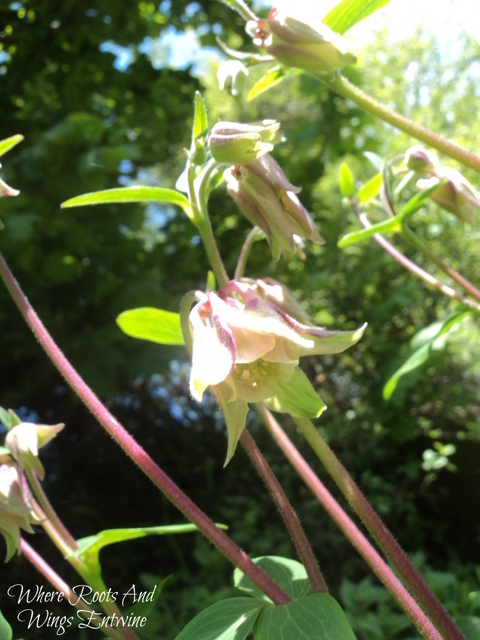 I hope to do lots of gardening with Bug, enjoying our little wild garden and planting lots of beautiful blooms and grow some fruit and veg over the years. 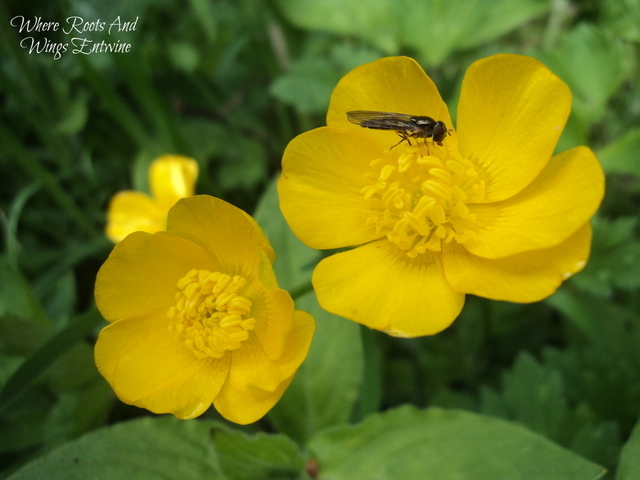 I especially look forward to watching Bug complete the Explorer challenge #41 Plant It, Grow It, Eat It from the 50 Things To Do Before You’re 11 ¾ list of adventures. 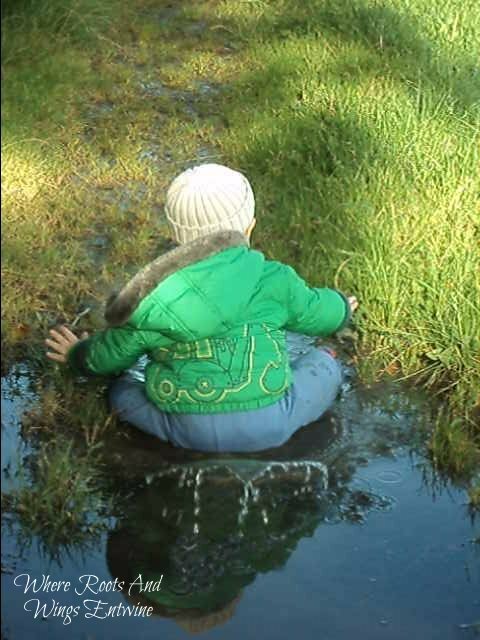 As I mentioned in my post 'natural childhood – playing in the great outdoors' I think it is important for children to experience, learn and play outdoors and in nature. 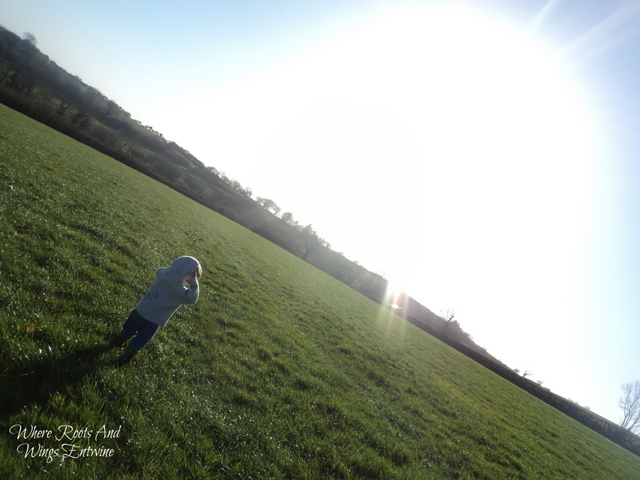 There are many ways to play outdoors and I think it is fantastic to experience the great outdoors in many ways (a few of which I have mentioned above). 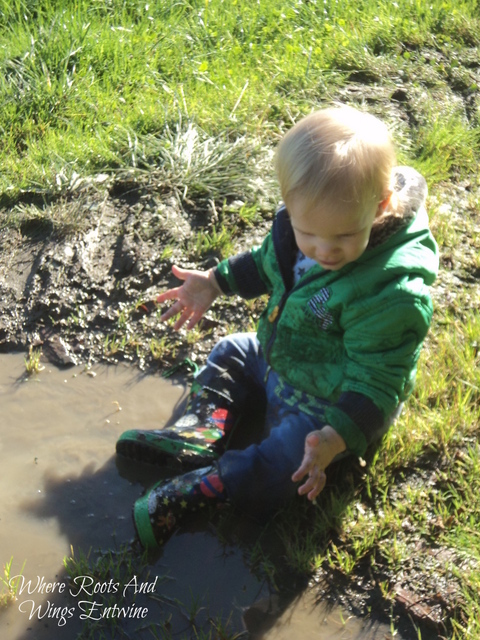 A perfect way for children to enjoy outdoors is by gardening which teaches children a vast many things including life skills and environmental awareness whilst little ones get to have fun getting messy in the dirt and experience feelings of pride as the plants they tend and care for grow and flourish. 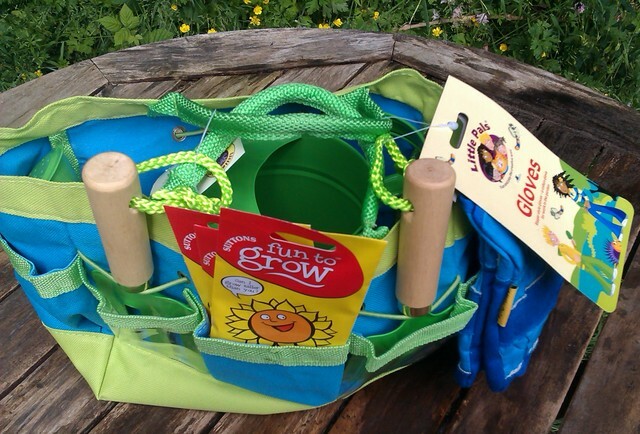 I think it’s fantastic to seed the sense of caring and responsibility in a fun, eco-friendly way as children learn the art of tending to and growing plants whilst gardening. 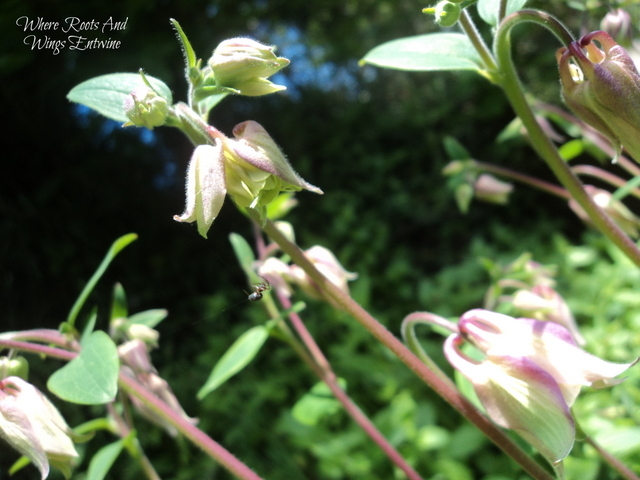 I hope to combine gardening and creativity for Bug as over the years I hope to create a gorgeous garden with him, using a variety of plants and flowers of all different types, colours and fragrances to evoke and appeal to all senses. I have plans for Bug and I to create a water garden with water plants in a large old tin bucket I have found abandoned in one of the sheds on the farm, up -cycling it to make a wondrous water world for plants and creatures. I also want to get crafty with Bug and let him paint and decorate plant pots to make colourful and adorned homes for a variety of plants. I also hope to create a scent corner by filling a section of the garden with fragrant plants such as lemon, sage and lavender. 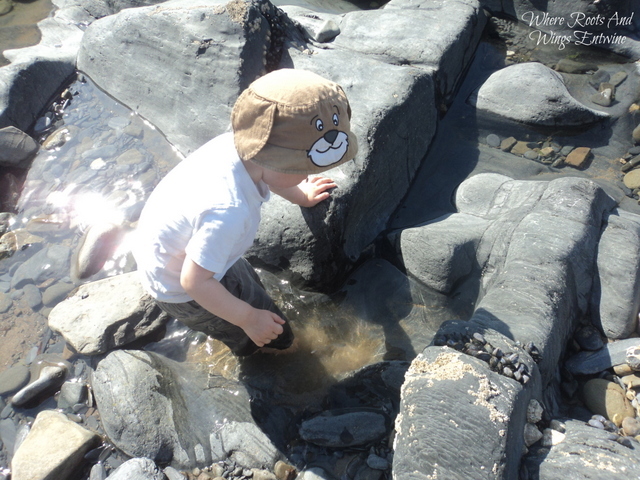 I think Bug would also have fun helping me create a rockery with an array of stones and rocks we have sourced from our adventures in the countryside and at the seaside. As I hope to have lots of fun gardening with Bug and capturing our green fingered adventures on camera to cherish the moments for years I was delighted when Bug was sent a gorgeous little garden kit perfect for little hands from MoneySupermarket.com and BritMums for Bug to take part in the #KidsGrowWild challenge. 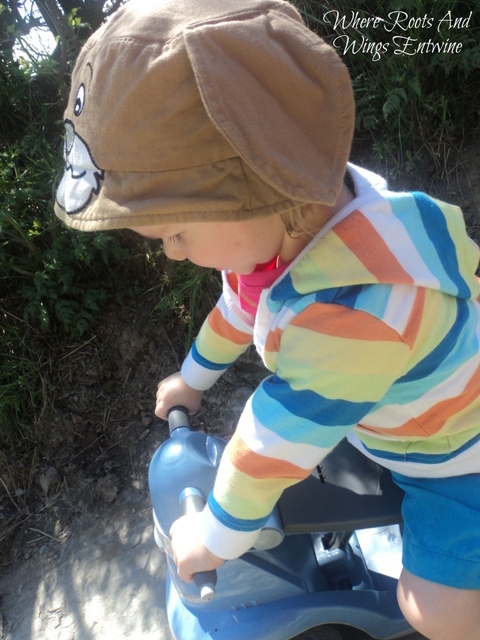 Now Bug has his gardening equipment we best get outdoors and have lots of green fingered fun.